Jeff Dorgay of TONEAudio was looking for a great 5.1 system including electronics under $5,000. Lucky for us, with the new MRX receivers and our sister company Paradigm, we were able fulfill their wish. We decided to ship them the middle of the line MRX 510 as well as Paradigm Monitor 9, Center 3, Surround 1 and SUB 10. Rob Johnson and Jeff Dorgay completed the system review and published it in Issue 62 of TONEAudio magazine. "It's a level of detail and delicacy that I hadn't been expecting." "Paradigm and Anthem both produce quality audio equipment at reasonable prices - Anthem on the component side and Paradigm on the speaker side. The two sister companies (to which MartinLogan is also a sister company) are based in Ontario, Canada, and their complementary product lines allow buyers to piece together a home-theater system with speakers and componentry that pair well together." 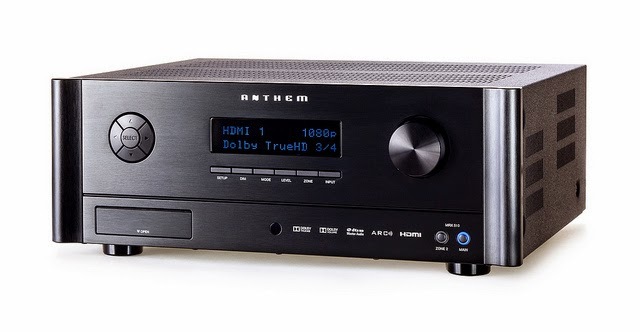 "Anthem's MRX 510 receiver proves an ideal match for the Paradigms. While we don't use its 7.1-channel capability, we certainly make full use of its 100 watts per channel of power for the 5.1-channel system." "The two HDMI video outputs render a wonderful picture... use the HDMI inputs and outputs wherever possible for the best results. The sound and picture will benefit significantly." Quantum of Solace on Blu-ray does not disappoint. The sounds of car chases, machine guns, and explosions complement the visuals wonderfully. The shattering of a windshield during a particularly nasty car collision surprises me with the subtle tinkle of glass raining down on metal and concrete. It’s a level of detail and delicacy that I hadn’t been expecting." "The full-room feel of music is great for a party. The event host can reduce the volume of music to facilitate conversation among guests, yet make the music audible in all corners of the room." "In stereo mode, Stevie Ray Vaughan and Double Trouble’s Blues at Sunrise retain solid sonic imaging across the width of the perceived stage, with layering in the distance." "While more expensive stereo or home-theater equipment may offer greater realism and detail, the price-to-performance ratio of this whole system is exceptional. The Anthem proves a great complement to the Paradigms, providing plenty of punch and sonic synergy so that no particular frequency range stands out in the mix." "20 minutes of measurements has the whole system rocking... Fantastic!" "While $5,000 is certainly not chump change, in the world of hi-fi that investment often only gets you one stereo component. Alternately, that same money can provide a complete home-theater setup that offers great quality, performance, and value." "For those seeking a single home audio/video solution, this Anthem/Paradigm combo gets you the best of both worlds: a solid two-channel setup and a 5.1 surround- sound system—just add audio and video sources. Plus, with unobtrusive looks and the ability to hide the subwoofer, you’ll forget the system is even in the room so you can get lost in the depths of a movie." “I’ve got about five grand to spend for everything. Can I get a killer home-theater system for that much?” Yes you can. At the numerous tradeshows I’ve attended around the world, Paradigm and Anthem always have the most impressive displays with systems offering performance on a level I’d expect from gear with much, much bigger price tags." "The system you see here is no exception. 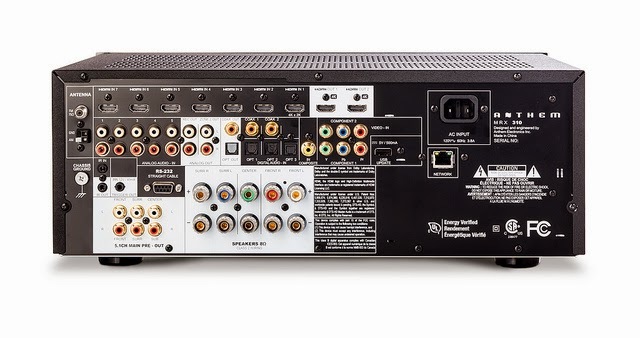 I’d pay $1,600 just for the room-correction portion of the MRX 510, and you get seven channels of amplification and a video processor thrown in! My living room has dreadful sonic properties: hardwood floors, wood-plank ceiling, and a leather couch and chair, along with a big glass coffee table. But 20 minutes of measurements with the ARC (Anthem Room Correction) technology has the whole system rocking with movies and music. Fantastic!" "As a home-theater neophyte, I appreciate Anthem’s great manual and ease of setup. You probably won’t have to hire the geek squad to hook this baby up, and all of the on-screen menus are very logical, as well. In short, this is the perfect setup for someone wanting great sound on a modest budget. Best of all, Anthem and Paradigm are sister companies, so you know everything will work well together." Click here! & download Issue 62 of TONEAudio for the review.